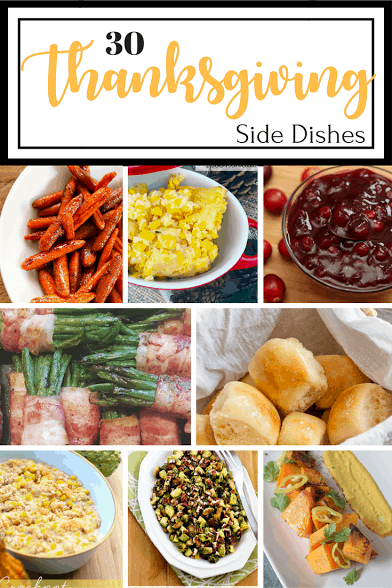 If you are looking for a Thanksgiving side dish recipe, we put together a round-up of 30 Easy Thanksgiving Side Dish Recipes Your Guests Will Love from some of our favorite food bloggers. From appetizer recipes to corn recipes, green bean recipes, potato recipes, cranberry sauce, rolls and more, we have them all. These Thanksgiving Day side dish recipes are making me hungry! Share your favorite Thanksgiving side dish recipe!